Today is Bound by Wish and Mistletoe Cover Reveal Day! Stephanie Mooney at Mooney Designs created another stunning cover for the Highland Legends Series, capturing the essence of the holiday novella with classic beauty. If you’ve just now discovered us through the Highland mist, we’re only 24 short days away from the release of Forged in Dreams and Magick, the award-winning debut in the Highland Legends Series . . .
Be sure to follow me on Twitter, like me on Facebook, and friend me on Goodreads to catch all of the exciting events coming up with Forged in Dreams and Magick and Bound by Wish and Mistletoe, including both of the AToMR Tours promotion events and ARC Tours, interviews, excerpts, the beta interviews, guest blog posts, and an exciting launch party. So stay tuned! There is a great amount of Highland Legends Series news to share from the Kat Bastion Writing Desk . . . Although the Review Tour sign-ups are now closed, the AToMR Tours Promotion Event for Forged in Dreams and Magick will remain open through September 25, 2013. If you want to participate in the two-week Promotion Event, please sign up here on AToMR Tours. Many choices will be available, including excerpts, interview, guest posts, and each blog can offer an eBook copy giveaway in addition to the larger Rafflecopter Event Giveaway. 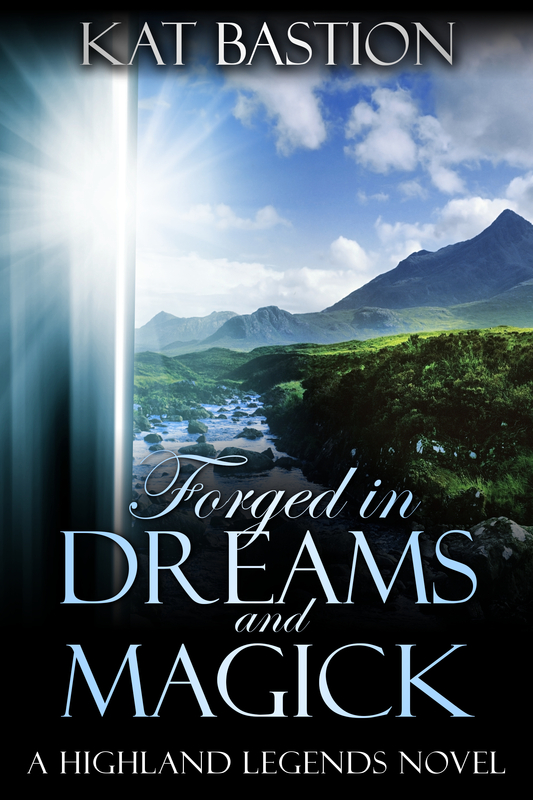 In case you missed the earlier news, Forged in Dreams and Magick is now up on NetGalley. If you’re a reviewer, bookseller, librarian or member of the media, NetGalley is a great way to access ARCs (advanced reader copies) for review. Please find Forged in Dreams and Magick here on NetGalley. The countdown has begun! Mark your calendars! We’re only six weeks away from Forged in Dreams and Magick‘s release on September 23, 2013! Another six weeks after that? Bound by Wish and Mistletoe, the Highland Legends Series’ holiday novella releases November 4th, 2013! Oh, and don’t forget to sign up for the Goodreads Giveaway. There are five signed copies up for grabs! 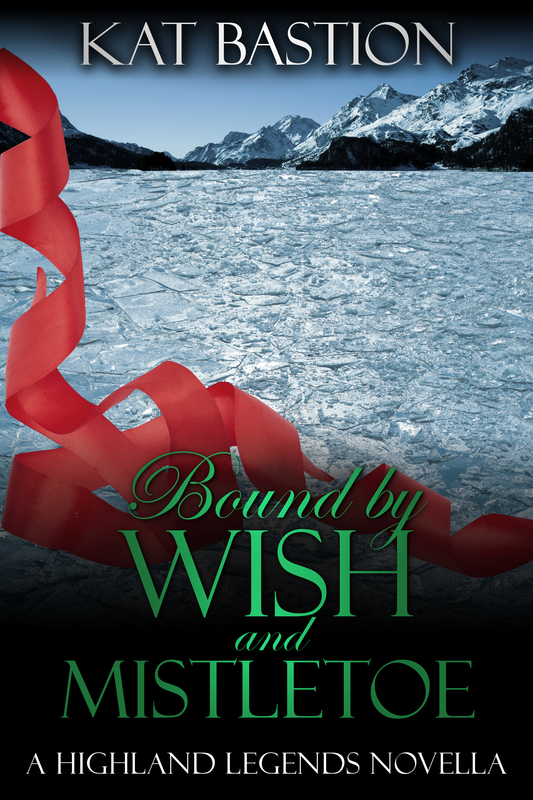 Bound by Wish and Mistletoe was added to Goodreads today! Want a bit of Magick and a lot of Highlanders in your Christmas this year? 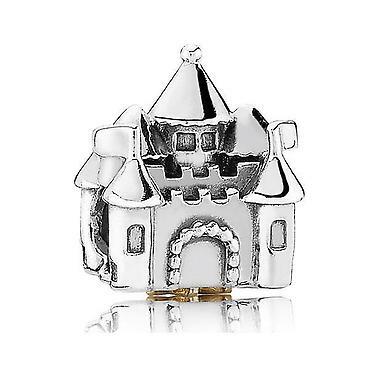 Slide Bound by Wish and Mistletoe into your stocking. Mark your calendars! The Cover Reveal for Bound by Wish and Mistletoe will be on Friday, August 30, 2013. Sign-ups for the Cover Reveal are here on AToMR Tours. Mark your calendars! AToMR Tours will be organizing the Promotion Event and Review Tour for Bound by Wish and Mistletoe, which will take place the week of its November 4th release. Stay tuned for sign-up information. That’s all the news for today. Plenty of exciting tidbits, don’t you think? I can’t wait to share more as events progress. Thank you for your continued support. It’s greatly appreciated. I’m thrilled to share some great news. Forged in Dreams and Magick was uploaded yesterday on NetGalley to a wonderful first day response! Enormous thanks go to my friends, Kristi from Kindles and Wine and Annie from Under the Covers Book Blog, for giving me phenomenal feedback on how they each use NetGalley. In the coming months, I’ll be posting some of my behind the scenes planning and results in my book-publishing odyssey with a series entitled Transparency in Self-publishing. For now, I’ll share a small taste of my research and first day results of my foray into NetGalley. Without knowing what to expect from taking the plunge and experimenting with NetGalley, I have to say I’m pleasantly surprised. My goal with NetGalley was to reach new audiences through potential influencers in their fields, and it seems my title has interested a wide variety of the very people I hoped to reach. I’m staying grounded with the results, as their request only means Forged in Dreams and Magick captured their interest. My wish is that they will read and enjoy the book. Should they enjoy the book, I’m hopeful they will review it and buzz about it within their spheres of influence. We shall see what happens, and I will keep you all posted! Meanwhile, if you’re a reviewer, blogger, bookseller, librarian, book club or book group participant, media professional, educator, or anyone who enjoys reading books and sharing your thoughts about them with others who enjoy reading books, I encourage you to join NetGalley. Also, be sure to friend me on Goodreads from the link above, follow me on Twitter or like me on Facebook to catch all of the exciting things coming up on other blogs with Forged in Dreams and Magick!